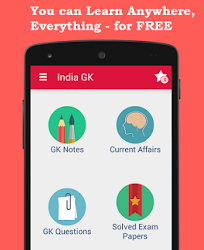 22nd August 2016 Current Affairs MCQs, Quiz, Questions: Current Affairs for August 2016, Daily Multiple Choice Questions (MCQs) for India GK, World GK and current affairs with Collection of daily objective type Question by www.Indiagk.net based on General Knowledge (GK) and General Science (GS) Questions for UPSC, State PSC, SSC, Police exam, Railway exam, SBI, Bank PO, IBPC, SSC, LDC, UDC, Army, Airforce, Navy, Coast Guard, Bank Clerk, TET and all entrance examination with current affairs News, Multiple Choice Questions (MCQs) available on Website www.IndiaGK.net and Android Apps with daily updates:. What is India’s place in the Rio Olympics 2016 final medals tally? 2nd meeting of BRICS Ministers for Disaster Management held in which city on August 22, 2016 ? Who is the face of the Incredible India campaign? Who inaugurated CII-IIEST conference in Kolkata on 22nd August ? Who among the following to gets Rajiv Gandhi Khel Ranta 2016 ? Who among the following to gets Dronacharya Awards 2016 ?